A major part of starting a nonprofit and becoming a tax-exempt, public charity is ensuring that you can provide for the feeding and care of an organization by complying with the filing and reporting obligations for the organization. This includes a number of filings that need to be done once at the beginning of the life of the organization and some that need to be done every year, every quarter, etc. to secure and maintain your status as a tax exempt, public charity. At Charitable Allies, this is where we encounter the most issues with nonprofit governance. Often they are left on the back burner too long and are not given enough attention until they catch fire. Nonprofit boards of directors need to be aware of these issues and ensure that their organization has a plan in place to make the required filings. Every nonprofit starts in the same way, by filing its articles of incorporation with the state in which the organization will operate. This works to form the organization as a nonprofit corporation. This document is also vitally important to the organization’s Form 1023 application to the IRS to be recognized is a tax-exempt, public charity due to the fact that there are a number of specific provisions required to be included in the articles of incorporation of tax-exempt, public charity, i.e. a specific dissolution clause, purpose language, and several other necessary provisions. Once the articles of incorporation are approved, the organization needs to apply for its Employer Identification Number or EIN. This is essentially the Social Security Number for organizations and it is how the IRS keeps tracks of the organizations in the United States. Finally, when the organization has completed the articles of incorporation and applied for the EIN, has adopted its bylaws and other governing documents, then the organization must apply to the IRS for recognition of its status as a tax-exempt, public charity. This is done by filing either Form 1023 or Form 1023-EZ. The Form 1023-EZ is an easier and more streamlined version of the application for tax-exempt status to the IRS, but it can only be filed by organizations that, based on a good faith estimate, believe that it will only bring in $50,000 or less in gross revenue for each of the first three years in which it is in existence. However, there is a long list of other organization types that cannot file the Form 1023-EZ for reasons other than amount of revenue. The full Form 1023, on the other hand, is an extensive filing that requires a lot of time and attention to complete accurately. It includes ten parts all with in-depth and complex questions that must be answered in very specific ways in order to show the IRS that your organization meets all the requirements of a tax-exempt public charity. Additionally, it may require several specific attachments based on the type of organization and the exact circumstances of its existence. Most of the time when the IRS denies an application for recognition of tax-exempt status it is the result of mistakes that were made on the articles of incorporation, bylaws, or Form 1023. So unless you are familiar with the document requirements, we recommend that you hire an attorney to assist you to in drafting and filing these documents. That will to ensure that all of the specific and detailed requirements are being met. Tax-exempt public charities are required to file annually a several documents, specifically a version of Form 990, explained in more detail below, and an information return to the department of revenue, or other similar department, for its home state. In general, the different versions of the Form 990 are annual tax information returns required to be filed with the IRS in order for a tax-exempt public charity to maintain its status. Specifically, the full Form 990 is a long information return and takes a substantial amount of time to prepare. The Form 990-EZ is substantially shorter, but also takes some time to prepare. The Form 990‐N, or “e-Postcard,” is a very short filing that basically communicates to the IRS that you still exist and have some activities. The determination for which Form 990 can be completed by your organization is based on the gross revenue for the tax year. A major consequence of failing to file timely a required 990 is that after three consecutive years of failing to do so, then the organization loses its tax-exempt, public charity status. Please note the emphasis on “timely.” In some cases, the IRS requires that it receives and accepts the form on or before the deadline or it is considered late, even if it was postmarked before the deadline. Then, if that third filing is “late” again, the IRS revokes the organization’s tax‐exempt status, which can only be regained by reapplying and passing a multi-pronged, multi-factor test for retroactive determination. Therefore, tax-exempt public charities need to be particularly careful to file the proper Form 990 each year. Most, if not all, states also require their own annual information filings from nonprofit corporations. These are typically short forms that require a version of the Form 990 as filed to be attached along with descriptions of any changes to the organization’s articles of incorporation or bylaws, updated information regarding its officers and directors, etc. There are also a number of other filings that tax-exempt public charities and nonprofit corporations may be required to file. These include business entity reports to the Secretary of State of the home state for the organization that indicates that the it is still operating, notice of any changes in address, registered agent, etc. of the nonprofit corporation with the relevant authority, e.g. the Attorney General or Secretary of State. A third major consideration of most nonprofits is charitable solicitation issues, which affect 39 states. The main way this is resolved is through CSR or Charitable Solicitation Registration. Charitable solicitation is when an organization requests donations from people and many states require organizations to register before doing so. This registration is no small task. It is almost as complex as the Form 1023, and requires pages and pages of attachments. This registration may also not be as simple as completing a basic form and may require a registered agent to be appoint and/or a “foreign corporation” registration to be filed before an organization can register as a charity eligible to solicit donations in the state. Be aware that these registration rules apply to most types of solicitation, including email solicitations and social media solicitations, but not generic web page solicitations. 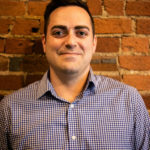 There are several organizations that offer CSR registration, renewal and compliance assistance, for a cost of around $10,000 per year and Charitable Allies has relationships with several of these if you are interested in a referral. Failing to comply with the registration requirements for each state in which your nonprofit corporation solicits donations can result in anywhere from a couple hundred to thousands of dollars of fines. If you plan on fundraising, you need to ensure that you will be in compliance with the regulations by registering, usually prior to beginning your fundraising. There are several other filings that tax-exempt public charities can make that will exempt them from sales and use tax, allow them not to pay unemployment insurance, provide them with a reduction in postage for bulk mailings, and more. Most states provide for a method by which tax-exempt public charities may become exempt from paying sales tax in that state. This requires a filing to the appropriate agency on whatever form is provided. If accepted, this will exempt the organization from paying sales tax for the items being purchased for use by the organization. However, this does not exempt the organization from having to collect and remit sales tax on sales of any items that it sells. Most states also provide a method for property tax exemption allowing the organization to hold property without paying the typical taxes on it. However, this exemption is exceedingly difficult to obtain in most states. Tax-exempt public charities are eligible for a reduction in the fees spent on mailing and postage, but you will need to make a few determinations first before deciding which permit or application is appropriate. If your organization intends to use mostly stamps, then simply apply for the nonprofit mailing privileges, i.e. reduced postage. But, if your organization will instead use bulk mailing campaigns, then you will need to apply for the proper permit for pre-canceled stamps, postage meters, or permit imprints. Finally, most states have charitable gaming and sweepstakes laws. These laws cover games of chance that require any type of buy-in, such as a raffle, bingo, pull tabs, game night, door prize, water race, or guessing game. To engage in these types of activities you must obtain a charitable gaming license from the relevant gaming commission. In addition, sweepstakes are separately regulated and are events that do not require a buy-in, but instead allow entry by anyone into a pool from which a winner or winners for certain prizes are drawn. There are specific rules relating to sweepstakes, such as the uniform application of sweepstakes rules. If your entity wants to be involved in gaming or sweepstakes, you should contact an attorney to assist you in completing the application. As is evident, there are a significant number of filings necessary to both create and maintain a tax-exempt public charity and nonprofit corporation. Keep in mind that the above filings are only a fraction of the requirements that these organizations must meet in order to continue operating properly and in accordance with the law. Therefore, before starting your nonprofit organization, you should review the filing requirements and determine if and how you will be able to accomplish them. If you determine that you need assistance, then please contact an attorney familiar with nonprofit law to assist you in filing and ensuring compliance with all of the above. 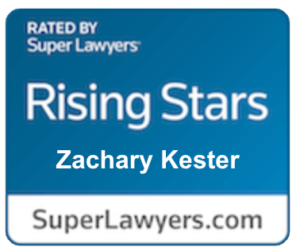 Attorney Zac Kester provides generalist and strategic nonprofit legal and consulting services. He holds a Master of Laws, a post-law school advanced degree, in which he studied the unique needs of tax-exempt nonprofit organizations. His legal and consulting career has focused on nonprofit organizations. 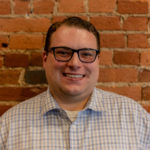 Attorney Robert Miller is an attorney in the State of Indiana and holds a Doctorate of Jurisprudence with a certificate in Corporate and Commercial Law. He focuses his practice on representing nonprofit organizations. With highly experienced legal and training personnel, Charitable Allies provides all manner of legal and educational services for boards, officers, management and staff of myriad charities throughout the sector. From basic one-time questions about a single matter to training for boards and officers to complex reorganization or merger of activities, Charitable Allies is your go-to cost-effective provider of legal services to nonprofit organizations. Contact Zac Kester, Executive Director, at 317-333-6065 or zkester@charitableallies.org with any questions.